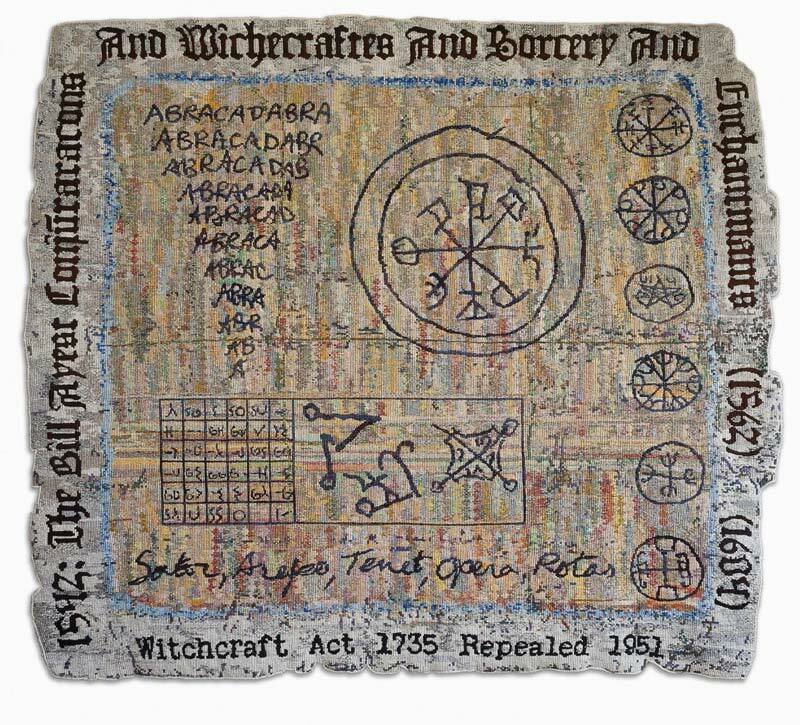 Anne Jackson’s current project, entitled ‘The Witchcraft Series’, explores the idea of witchcraft, and historic witch-persecution, as a mode of reflection upon aspects of contemporary Western culture. 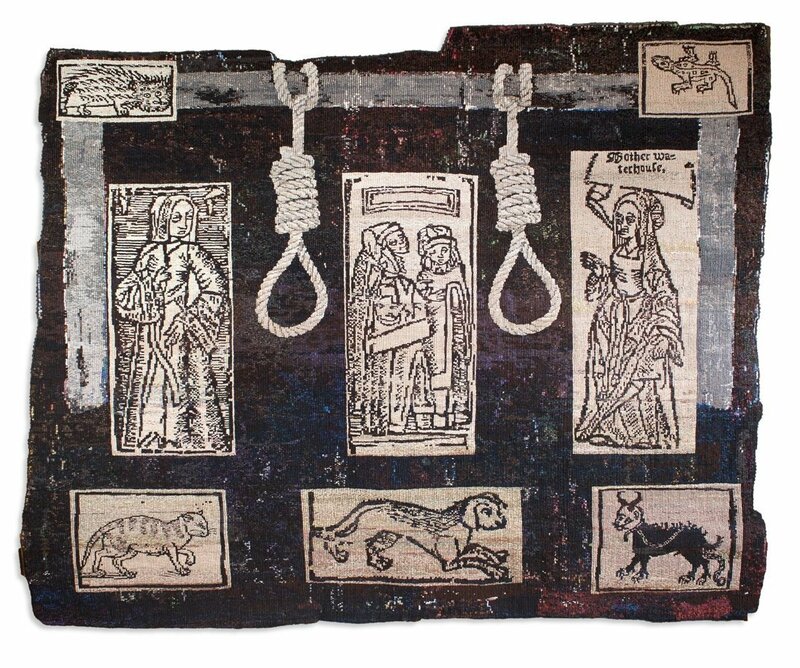 She draws on primary historical sources, including early printed books and witch-hunting manuals, wood-cut illustrations and ‘magic charms’. 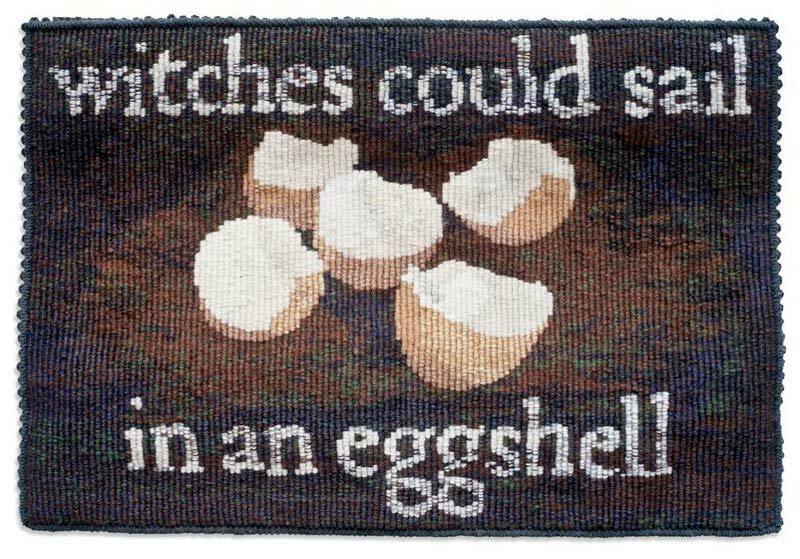 Working through the medium of knotted tapestry, she recontextualises these images and texts, often using the seductive textile surface to comment on injustice, intolerance and fear of the unknown. 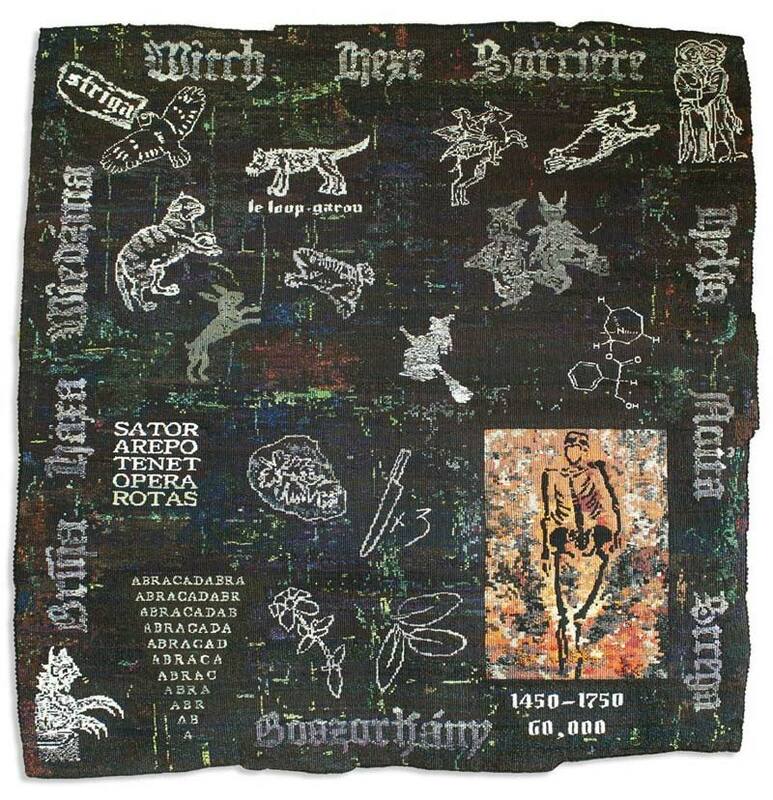 Some works in the series memorialise individual women caught up in the witch-hysteria of the Early Modern period. Others integrate original ‘magical’ signs with modern chemical formulae, associated with genetic engineering and the development of biofuels. 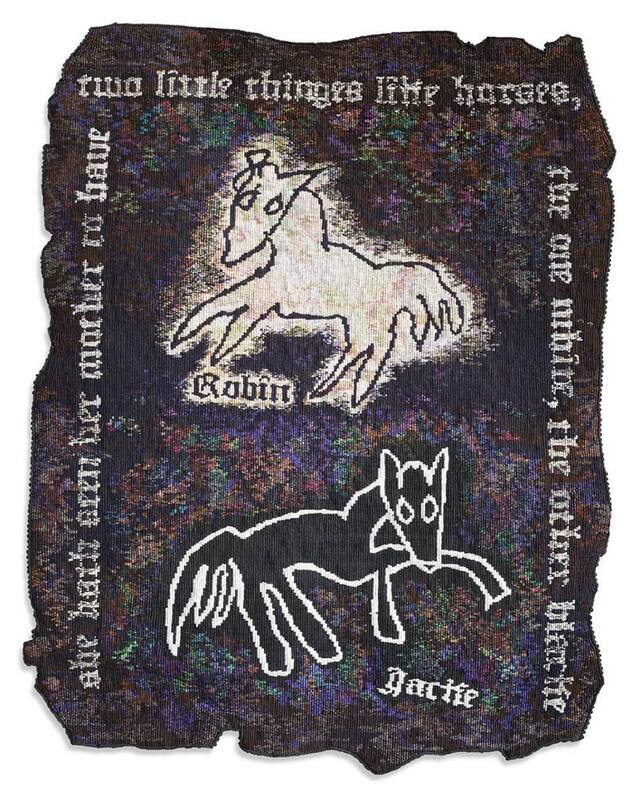 Anne Jackson exhibits in the UK, Europe, the USA and Australia. Her work is held in the collections of the City of Aalborg, Denmark, the Museum of Applied Arts, Budapest, the Geffrye Museum, London, the Christie Hospital, Manchester, and other public and private collections. 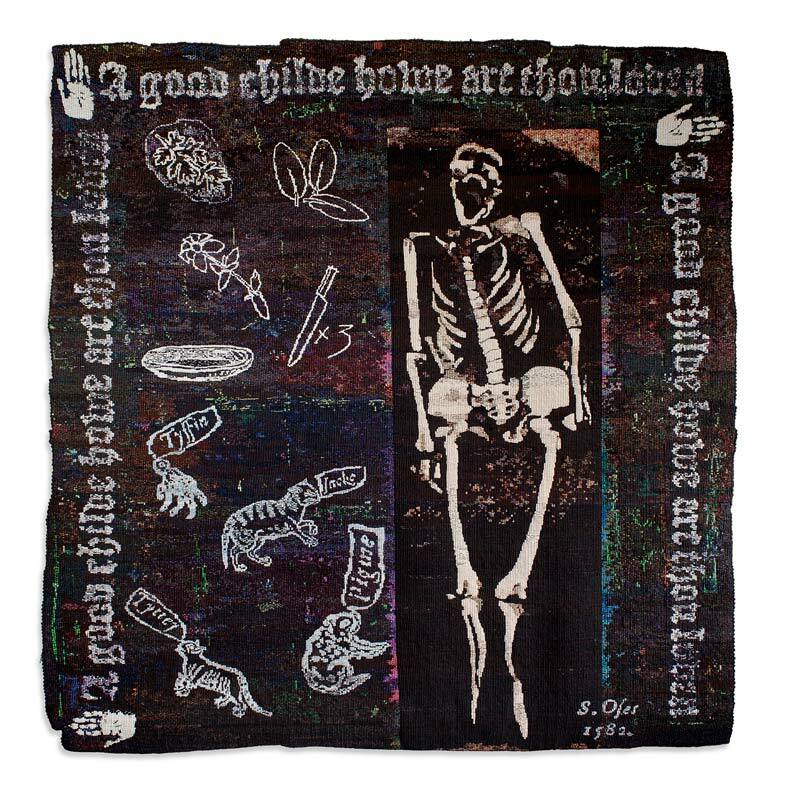 Her work is featured in a number of publications, most recently, Tapestry: A Woven Narrative, (T. Wilcox, C. Penney, F. Mathison; Black Dog, London, 2012) and Textiles: The Art of Mankind (M.Schoeser; Thames & Hudson, London, 2012). Her practice also encompasses critical writing and curating.